I have noted that Mary Lou makes much of the fact that there are a broad range of views and opinions within Sinn Féin which I am sure is correct but that members must obey the party whip. It is beyond me as to how she can expect someone who considers that life begins at the moment of conception to be part of a mechanism that provides for the destruction of human life. From I was a young child I have always cherished my Irish identity and in particular those noble patriots who gave their lives for a future free Ireland. As an Irish republican I am saddened by the Sinn Féin abandonment of principles that were enshrined in the Easter Proclamation and in particular by the departure of the commitment to ‘cherish all the children of the nation equally’. 1. The brain drain from Northern Ireland led to the emergence of the ‘Victim Classes’ that sought vengeance on ‘themuns’. Orange and Green militants voted on the basis of their sectarian agenda. 2. 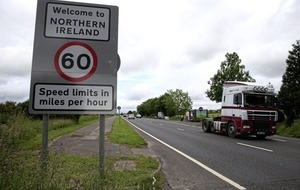 The ‘open borders’ policy set up by the European Union has enabled cheap labour to arrive in Northern Ireland, at the expense of local workers. The statistics about ‘Catholics set to outnumber Protestants’ are misleading as most EU migrants are from Catholic nations. 3. The ‘war on terror’ has been used by unionists to curry favour with the British and Americans in order to receive grace and favours. While – at the same time – nationalists have become too wet Liberal. Globalism has shaped our political mindset in a myriad of ways. The abject failure of our career politicians to accept the fundamental differences between Gaels and Britons is the root cause of all the political process’ problems. If Assad used chemical weapons on some of his own citizens then that is clearly wrong. What, however, gives the US, Britain and France the right to be the world’s police. Let’s not forget, for example, the US use of agent Orange in Vietnam that impacted on the health of millions. The DUP in its usual true blue loyalism supported the British government action and Nigel Dodds said: “First and foremost we salute the courage of our brave servicemen and women. They have carried out their duty with typical discipline and valour.” Can I just say that Britain fired eight Storm Shadow cruise missiles during the operation which are fire and forget missiles that can be fired from a range of 300 miles without the pilots of the Tornado aircraft having to go anywhere near Syrian territory. The British would never have had the nerve to carry out such an attack if it was not relying on the protection of the US. How brave. 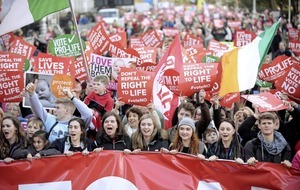 Further to her personal views (March 24) I would like to inform Mary Lou McDonald that one does not legislate by theology but the study of God can support that task. While she states: “I don’t want Catholic laws” – a reminder of Henry VIII – she nevertheless wants laws to “serve and accommodate everybody and protect everybody”. I see a clear contradiction here – what about he protection of the right to life of the unborn? 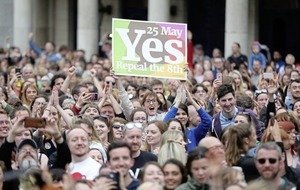 Mary Lou McDonald states that Sinn Féin will be campaigning for the repeal of the Eighth Amendment which protects the rights of the unborn. So where does that leave the silent, vulnerable, unborn child? How and where will they get a voice without Catholic input?